The operative word here is warmth. 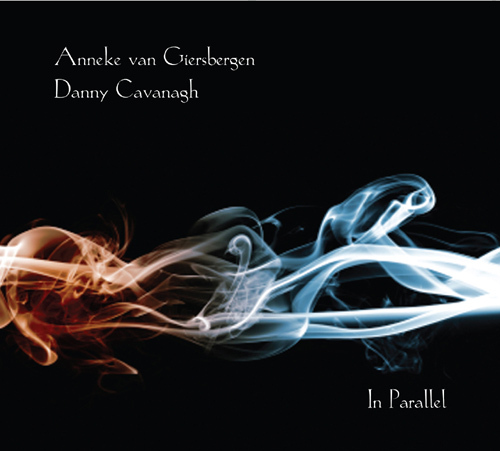 This 2010 release presents recordings from two small (and quite intimate sounding) shows played in the Netherlands in early 2009 by Anneke van Giersbergen (of Agua de Annique, and ex- of The Gathering) and Danny Cavanagh (Anathema). The sound is clean, simple, and yes, warm, as the two singers trade off singing songs from their separate concerns, as well as a handful of well-selected covers. The instrumentation throughout is primarily acoustic guitar (with both Cavanagh and van Giersbergen playing), with Cavanagh’s occasional piano accompaniment. Followers of either of these two singers’ bands know well enough that these folks have been circling the world of Metal with only the widest of orbits in recent years, but that’s not really the point. Metal is a wide church, and these two friends are among the most golden-voiced ever to have graced its quietest rectories. The sheer pleasure of listening to this album is not in the revelation of any hitherto-unexplored realm of sound and expression; this album proceeds so winningly because of its striking comfort and familiarity. Some might argue that such conventional attributes are antithetical to the project of heavy metal, but then again, one can only listen to so much powerviolence or harsh noise before retreating to sunnier climes. Which is to say, certainly every Skullflower fan could use a little Sonata Arctica in their life from time to time. This latter track is one of the most interesting here, because van Giersbergen sings the male lead, with Cavanagh joining in to harmonize where Rice’s version adds female vocals. I have a sense that a bit more playing around with ‘who sings what’ could have yielded extremely pleasant results – van Giersbergen singing Anathema’s “Are You There?”, for example, or Cavanagh singing Agua de Annique’s “Day After Yesterday” – but this borders on churlish quibbling. The Anathema songs are primarily taken from A Natural Disaster, with only “One Last Goodbye” digging (slightly) deeper into their past. One small disappointment, then, is that there is essentially 100% overlap between what Cavanagh plays here, and Anathema’s 2008 acoustic release, Hindsight. Still, these are powerful songs, and they lose very little when featuring just guitar and voice. “Flying” is particularly notable for what sounds like Cavanagh accompanying himself with a delay pedal. It’s tough to pick out exactly what’s going on, but towards the end, I can hear three, or maybe four separate guitar lines winding round and round themselves. My only complaint (well, I suppose it’s really more of a suggestion) is that with these two fantastic singers playing together, I feel like they could have actually sung together a bit more frequently. When they do harmonize with one another (as on “The Blower’s Daughter” or Dolly Parton’s “Jolene”), the timbres of their voices work sweet magic, and thus feels rather underutilized. In sum, this record is a real treat for fans of either singer, and an especial treat for those (such as myself) who are fans of both. Don’t expect anything earth-shattering here, though, as this really does play like good friends getting together to run through songs whose memory is imprinted in the callus of the finger, and the familiar vibration of a particular note. This album, I will say again, is above all else warm: this album is a broken-in leather arm chair in a hearth-lit study; it is a glass of ruby red wine; it is a walk along the river with old friends, where the words and meanings are only figural, gestures at an unspoken bond. In Parallel is out now on Aftermath Music. Find it here, or maybe somewhere else.